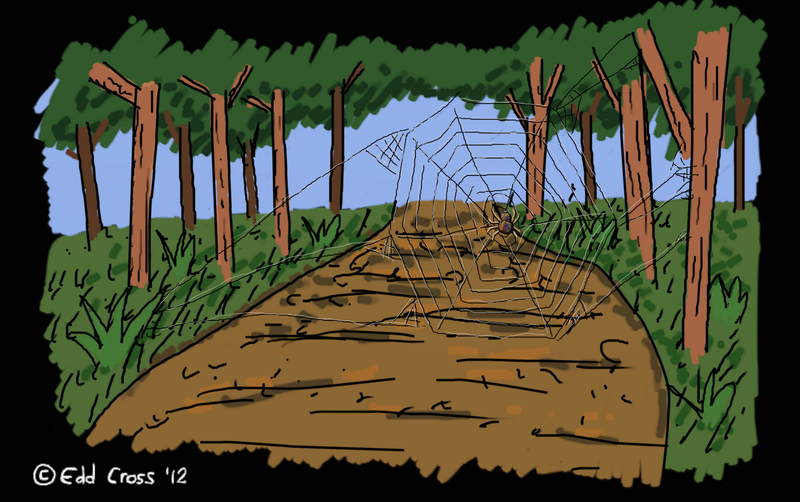 Watch where you walk – there be spiderwebs! Do you see it? No, I nearly didn’t either! Whilst on my way to do some bushcare volunteering at Mt Gravatt I almost walked right into it. As I was running a few minutes late I did a very quick scribble of it in my sketchbook. As I wasn’t too happy with that scribble, I couldn’t wait to digitally draw it back at home. 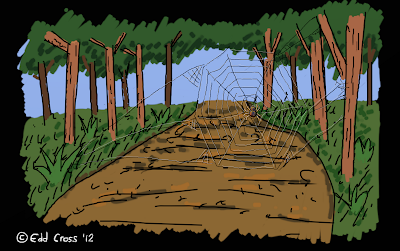 Thinking in depth about how the spiderweb easily ‘merged’ into the background, is quite a challenge to draw which is why my scribbling just ‘merged’ into precisely a scribble. But I think that helped to create this image where the spiderweb, although at the forefront of the picture, ‘merges’ into the background as it did in nature proving how easily they can not be seen.